Former UK Prime Minister Tony Blair dove deep into the Twitter waters earlier this week and was able to experience the social media channel in all its positive and negative glories. It wasn’t always pretty. Seeking to promote his Tony Blair Faith Foundation, Blair threw himself into the public firing squad and answered questions on Twitter by promoting the hashtag #asktony and responding to questions from anyone out there (he used the handle @Tonyblair_TBFF). 1. 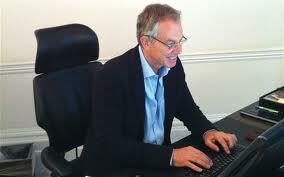 Blair made himself available and entered into the Twitter limelight. He was personal and authentic – he didn’t have a ghost-tweeter, but actually took a picture of himself at a keyboard to convey that he was actually the person behind the message. Surely he knew that criticism and heckling would come his way. But he at least showed that he was open to communicating with every day people. 2. He controlled the message by responding to questions that were aligned to the Tony Blair Faith Foundation and ignoring what he would consider off topic tweets. In the process, he was able to reinforce some of the key values of the foundation. This complete Twitter Q and A is available for all to see. 3. Blair also showed that he is willing to learn. As the following article in the Independent details, Blair isn’t into technology and only recently decided to take a Twitter crash course. But give him credit for at least being willing to experiment and try things (and yes, I realize that if he were Prime Minister and not trying to promote a personal project that there wouldn’t be a Twitter story, but still……). Are you looking to promote a particular cause but are leery about jumping into the social media fray? I would encourage you to follow Blair’s lead. Learn about the tools, make yourself available, drown out the noise and control your message and like Blair, you too will have a greater possibility of increased visibility and promotion of the messages you wish to share with your various audiences.